Now that I am starting to plan a move to the Pacific Northwest (I’ve been hired! ), I’ve been thinking about all the great theatre I’ve seen in Illinois in the last decade and how much I will miss its rigor and variety. From the storefronts, serious playhouses, and Broadway options of the city to the excellent community, university, and regional theatre of the plains, I’ve seen great experiments, start-ups, world premieres, and classics. I’ve also been able to see a great deal of Shakespeare’s canon, which has informed my own writing and research immensely. 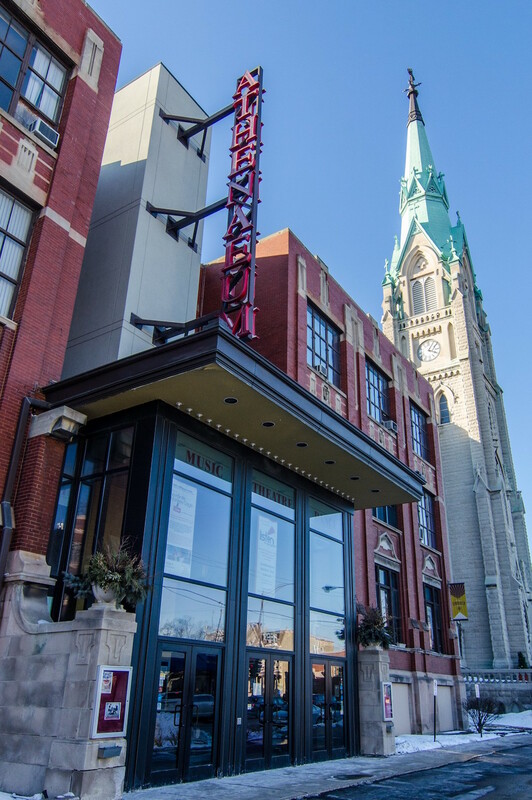 As the new season announcements begin to roll out this month, I offer here a list of venues, troupes, and playwrights I’ve come to love and recommend to anyone who might themselves be new and moving to the Midwest. Sean Graney: As house playwright for The Hypocrites, he has been a long-time favorite of mine. 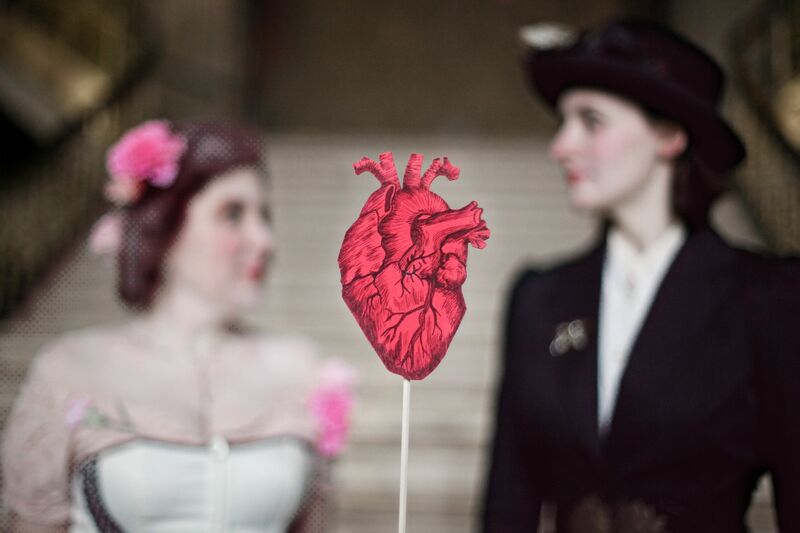 I reviewed his Court Theatre production of The Comedy of Errors for Shakespeare Bulletin, as well as his award-winning All Our Tragic here on Bite Thumbnails. Emily Schwartz: Emily’s taste and playfulness offers a new kind of macabre, reminiscent of something steam punk, something Beetlejuice, and something Tim Burton. The backbone of the Strange Tree Group (see more below), favorite productions of hers have been Funeral Wedding: The Alvin Play, The Mysterious Elephant and the Terrible Tragedy of the Unlikely Addington Twins…Who Kill Him, Shakespeare’s King Phycus in association with the Lord Chamberlain’s Men, and The Three Faces of Doctor Crippen. The last was produced in association with Steppenwolf Garage Rep and later ran as part of the New York Fringe Festival. Tracy Letts: As a multiple Tony Award- and Pulitzer Prize-winner, Letts is arguably one of the most important writers and actors working in Chicago today. He is part of the prestigious Steppenwolf ensemble, and as an undergraduate I was able to see the premiere runs of his groundbreaking August: Osage County and Superior Donuts (starring John Michael Hill and Michael McKean). Despite its difficult content, his film Killer Joe (starring Matthew McConaughey), the play of which was done at UIUC around when I first arrived as a graduate student, is just as brilliant as August. Two of the ladies at the heart of Strange Tree’s Doctor Crippen, Kate Nawrocki and Delia Baseman. The Strange Tree Group: As mentioned, Strange Tree is the product of several Indiana theatre students who came to the big city with a very unique perspective. While I list my favorite productions above, you can see my review of The Three Faces of Doctor Crippen, their most successful staging, as well as my personal favorite, Shakespeare’s King Phycus, on the blog. The Q Brothers: The ad-rap-tations have been one of my favorite discoveries while living in Illinois. 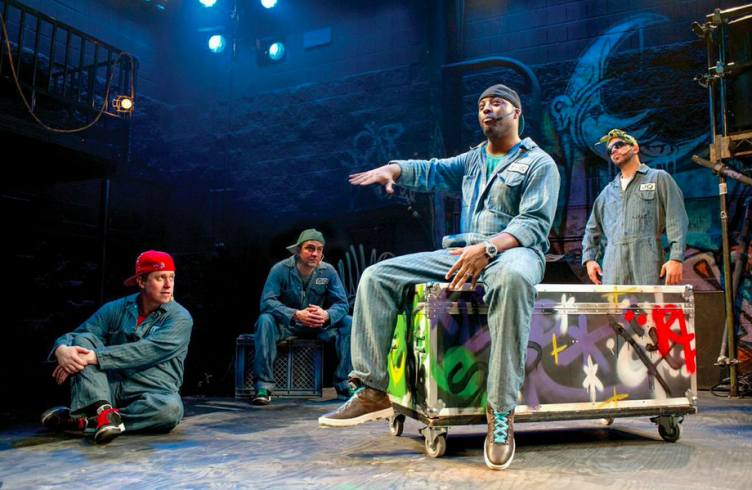 These two brothers have found a way to transfer the sense of speed, exigency, and rhythm of Shakespeare’s texts to a modern audience, using instead the conventions of rap rather than iambic pentameter. It’s a brilliant multi-modal approach, balancing a playfulness with a serious tenor perhaps best conveyed today for audiences. I’ve seen their Funk It Up About Nothin’ in its several iterations, last summer got a glimpse of their Two Gents, and perhaps will get a chance to check out their Othello: The Remix this summer, which premiered first at the Globe theatre in London. The Q Brothers are bringing back their Othello: The Remix this spring at the Chicago Shakespeare Theatre. Steppenwolf Theatre Company: These were the plays I saved up all my waitressing tips for. These were the plays that I had to walk home rather than hop the Halsted bus because I needed space to cry for several city blocks. The last thing I saw, Good People, was no exception. Court Theatre at the University of Chicago: While I have reviewed two production at the Court—The Comedy of Errors and Porgy and Bess—it was several years prior that two other productions fundamentally changed how I experienced theatre. A January 2008 Titus Andronicus, silently framed as a elite club initiation rite, rattled my sense of where reality and play diverge. In November of 2008 there was Radio Macbeth, which melted my heart. I apologize for the hyperbole, but it remains nevertheless true. Victory Gardens Biograph Theatre: Some of the first theatre I paid for as an undergraduate was at Victory Gardens. It was a few blocks from campus, and I saw my first Sarah Ruhl play, Eurydice, there. It also has the honor of abutting the alley where John Dillinger was shot (and the site where the Jonny Depp film was also shot). Titus (Timothy E Kane) attempts to console Lavinia (Elizabeth Ledo) in the Court production of Titus Andronicus–a production that fundamentally changed how I thought about this early Shakespeare play. Krannert Center for the Performing Arts at the University of Illinois: Krannert has been my home base for regular theatre for more than six years now. I have subscribed to the drama season since I first got to UIUC as a graduate student. It has exposed me to a great many texts I would not have otherwise sought out, dynamic ways to think about dramaturgy and stage design, and of course informed my teaching. I have reviewed a great deal of the MFA productions on the blog, but some personal favorites include Killer Joe, The African Company Presents Richard III, Clybourne Park, The Tempest, The Normal Heart, The Table, ‘Tis Pity She’s a Whore, and Brooklyn Babylon. Merle Reskin Theatre at DePaul University: Having once been a music student, I made many friends in the Chicago theatre community quickly. Some of those initial friendships and exposure happened at the Merle Reskin. Later, when I worked as a residential advisor, the Reskin routinely gave me free tickets to share with my residents for bonding events. Athenaeum Theatre: While the Reskin was my official university base, I think I saw more productions at the Athenaeum than anywhere else in Chicago as an undergraduate. The space isn’t one theatre, but many small blackboxes spread across multiple floors. The productions were often original, experimental, and inexpensive. I saw my first Will Eno play, Flu Season, there and now almost always teach it in my Studies in Drama course. The Athenaeum performance space on Chicago’s north side. 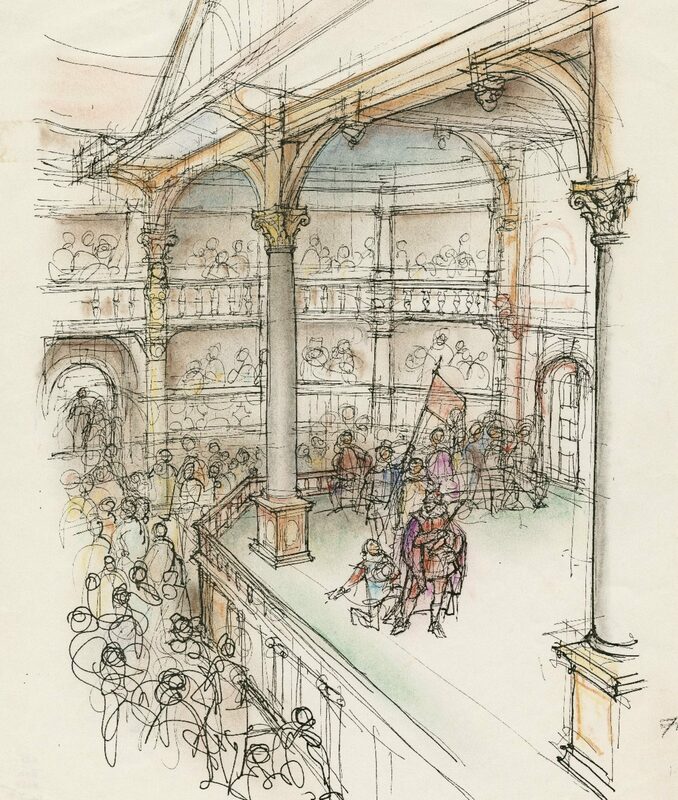 Back Room Shakespeare Project: The project is doing something that I think, like the Q Brothers, recovers the kind of experience Elizabethans had when they attended playhouses in the sixteenth century. No director, one rehearsal, and in a bar (not unlike the inn-yard performances of early modern London), these are thoughtful and risky productions as I explain in my review of their Julius Caesar for Shakespeare Bulletin. The Improvised Shakespeare Company at IO: These guys are everywhere, going on tour across the state, in Chicago and in New York using Shakespeare’s verse as a improv comedy tool. It is the thing I recommend most often to people visiting the city for only a few days; you get a taste of Chicago’s rich improv and Shakespeare traditions all in one bite. The What You Will Shakespeare Company at the University of Illinois: As a graduate student studying early modern theatre, I have always felt lucky to have a entirely student-run troupe doing Shakespeare and his contemporaries. Producing between two and four productions each semester, the company gave me the idea for this blog, and was one of the first things I reviewed, an As You Like It. Some other favorites include a MUSE-inspired Hamlet, The Country Wife, Macbeth, and last summer’s rather brilliant Othello. The Shakespeare Project of Chicago: This company does professional Shakespeare by the book. By that I mean no costumes and a bare stage along with prompters. In doing so, this company provides smart text-oriented interpretations, while finding clever ways to turn those prompters into props and costumes themselves. They perform across the Chicagoland area, but I have always seen them at their 10:00AM Newberry Library performances. I’ve reviewed them professionally (here) and am planning on attending their performance of Cardenio in a few weeks. Chicago Shakespeare Theatre at Navy Pier: I have a vexed relationship with this theatre. It produces high-quality Shakespeare in a Blackfriars-esque performance space. Their casting problematically tends toward the coasts rather than drawing on local talent. And yet one of my favorite memories is of Sean Graney’s production of Christopher Marlowe’s Edward II back in 2008. (Apparently that was an important year for my relationship with Bill.) I am excited to be reviewing a couple productions as part of the City Desk initiative later this summer. Can’t wait? Two notable productions of late include the rarely-staged Pericles and a fabulous import of Hamlet. Illinois Shakespeare Festival at Illinois State University: The festival has been a regular thing for several years now, where I have attended at least one production with two friends of mine, a theatre PhD and a librarian, every summer. Festival Shakespeare is a unique kind of theatrical experience, and while I will be sad to part with Bloomington, I look forward to adopting another festival in Ashland, Oregon. I moved to Chicago from a small cow town in Hawai’i to study jazz. I had played in ensembles and as a pit musician starting in middle school. My mother, a flautist, would often let me hide inside the pit as a little kid so I could hang out and watch dress rehearsals for community theatre. So I came to the city to study music, but couldn’t seem to stay out of any kind of theatre, musical or otherwise. I changed majors, pursued other passions and eventually a doctorate. Illinois’ theatres have been with me all the while. They have been the back-bone of my performance education, and not the least of the things I am concerned to leave behind as I head west for a new adventure. I feel so grateful for all these theatres and artists working in the Midwest. P.S. It may go without saying, but any recommendations you have for theatre and Shakespeare (professional or otherwise) in the Portland area are most welcome!